News4's Chris Gordon looks back at Lawrence Hogan, Sr.'s political career and how it influenced his son, Maryland Governor Larry Hogan, Jr.
Lawrence Hogan Sr., a former Maryland congressman and father of Gov. 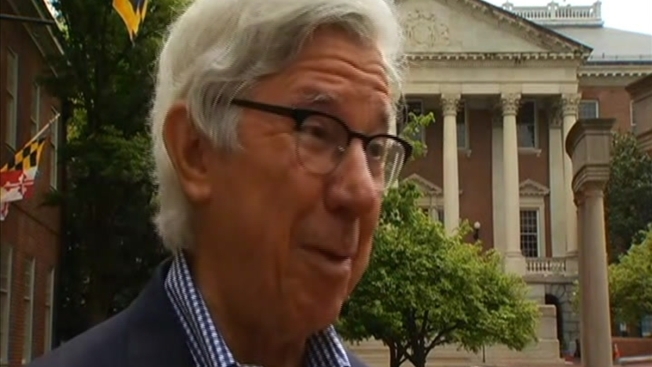 Larry Hogan, died on Thursday at age 88, the governor's spokesman said. Hogan suffered a major stroke Saturday and his condition later took a turn for the worse, Doug Mayer, a spokesman for the governor, said Thursday as the younger Hogan cancelled his appointments to be with his father. "He had an amazing life that spanned 88 years. He leaves behind a loving family, countless friends and admirers, and a lasting legacy that won't be forgotten,'' Governor Hogan said in a statement posted on Facebook. The elder Hogan served three terms in the U.S. House of Representatives from 1969 to 1975. He represented Maryland's 5th congressional district, which included Prince George's and Charles counties near Washington. In 1974, Hogan became the only Republican on the House Judiciary Committee to support all three articles of impeachment against then-President Richard Nixon. In the 2016 presidential election, his son said he wouldn't support his party's candidate, Donald Trump, and was disappointed in both major party candidates. As a result, Mayer said, the Republican governor wrote in the name of his father, whom he described as the person who taught him what it meant to hold public office with integrity. A former FBI agent, the older Hogan made an unsuccessful run for the Republican nomination for governor in 1974 in an effort to challenge then-Gov. Marvin Mandel, a Democrat. Hogan was defeated in the GOP primary by Louise Gore. Hogan served as Prince George's County executive from 1978 to 1982, and had a record of cutting growth in county spending and taxes. He is the most recent Republican to hold that post. His son, the future governor, worked for his dad when he was county executive. The elder Hogan ran for U.S. Senate in 1982, and was defeated by first-term Democratic Sen. Paul Sarbanes. Hogan had been living in Frederick. His first marriage ended in divorce in 1972. Hogan is survived by his second wife, Ilona, and his five sons. His daughter, Theresa Lazarus, died last year. His son, Larry Hogan, became governor of Maryland in 2015. Another son, Patrick Hogan, served as a Republican delegate in Frederick County.